There are many healthy foods for you to be eating every day. You might think of bananas, apples, salads and other such things. You might not immediately think of guacamole. 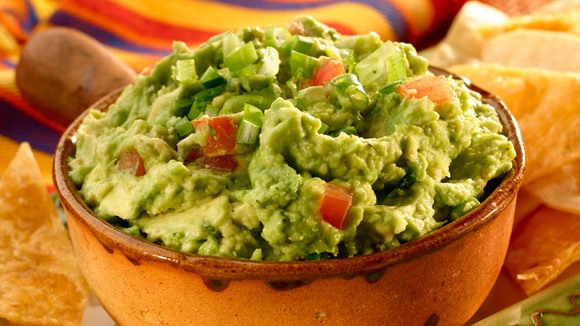 The great news is that even though guacamole has high fat and calories, you can still eat it. The benefits far outweigh that fact. Guacamole has a lot of Vitamin B6, Vitamin E, Vitamin C, potassium, fiber, mono-saturated fats and magnesium. As you can see, guacamole is good for you. There are fatty acids in avocados and olive oil which you use both to make guacamole. The type of fatty acid used for these helps you to keep fuller for longer. 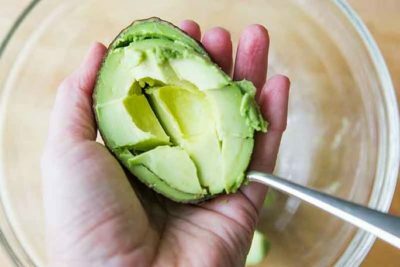 If you are trying to stick to a healthy diet for any reason, research shows that you should have avocados in your diet and guacamole is a great way for you to get them. The most important thing to remember in your healthy diet is to pay attention to portion sizes. You need to have moderate portions of guacamole and no more than that. Guacamole is great for helping you to fight hunger. Yes, this tasty treat you eat on game nights is great for easing your hunger. Studies show that the oleic acid in this food is helpful in making you feel less hungry. If you want to eat less food, start your meal off with a healthy snack that consists of guacamole. Whether you want to lose weight or you are just trying to stick to eating the right sized portions, you should eat guacamole. Many people believe that because the avocadoes in guacamole have higher fat and calories that it will make them gain weight. If you eat a ton of it that may be true. However, when you are using proper portions of guacamole, it is going to help you with weight management. The main reason for this is because it helps to fight hunger but there are all those vitamins and minerals that help with this too. Guacamole is also great for you because you can use it to replace unhealthy fats. Generally, when looking at your fat intake, you will notice that it is way too high, especially if you haven’t been paying attention to what you are eating. Any of the foods you eat that have saturated fats can and should be replaced with mono-saturated fats and that is where guacamole comes in. Some examples would be using guacamole instead of mayonnaise, butter or cream type dips. When you are using guacamole often to replace the unhealthy fats you may get tired of eat. The good news is that you can replace it with other kinds of guacamole. 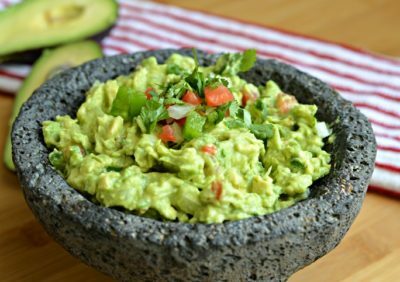 There are many healthy guacamole recipes out there. You can use different types of peppers, tomatoes, lemon juice, lime juice, garlic and other things as well. Guacamole is good for you. When people usually hear the word fat, they think it is bad for them. This is the complete opposite for guacamole. The fats that are in guacamole are healthy fats; they are called mono-saturated fats. You do not need to stop eating this awesome dip. In fact, you can use it often and use it to replace butter and other such unhealthy fats. Guacamole has healthy fats, nutrients and vitamins. It is helpful for fighting hunger cravings and when you use appropriate portion sizes for it, you will be eating a healthy and tasty dip. Now that you know this you can keep eating guacamole on game days and any other days as well. You can eat it along with snacks, meals and more. Let everyone know that guacamole is good for you and not bad for you at all unless you eat way too much of it.